This is our Buy Kratom Powdered Extract "Gold". This Kratom Extract is crafted to food-grade standards to ensure the highest purity and consistency of alkaloid content and dissolves easily and completely in any liquid as evidence of its purity. Compare prices and you'll see we offer 4G, whereas most others offer 3G. That's 1G FREE! 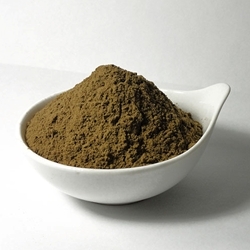 Also, due to the unique drying process that occurs in an oxygen-free environment, this Buy Kratom Powdered Extract "Gold" is extremely light and fluffy, taking up THREE times as much space as standard extract. In terms of dry weight, what this means is this: A ½ teaspoon of typical extract weighs about 1.5G. A ½ teaspoon of this product weighs only 0.5G! This product is not intended for human or animal consumption. We offer this raw plant material for research, as an incense component, for topical applications, or for aromatherapy only. Also, due to the unique drying process that occurs in an oxygen-free environment, this Buy Kratom Powdered Extract "Gold"is extremely light and fluffy, taking up THREE times as much space as standard extract. In terms of dry weight, what this means is this: A ½ teaspoon of typical extract (such as our 15x) weighs about 1.5G. A ½ teaspoon of this product weighs only 0.5G! We take our Powdered Kratom Extracts very seriously, and we waited to offer this product until we were completely confident that it would exceed our customer expectations. It’s quite a different product than the 15x Kratom Extract; its unique energizing aroma and subsequent aromatic effects seem to have a stronger initial impact with a gentle, extended glide back to baseline. And, as with ANY of our Buy Kratom products, you are completely covered by our 100% Satisfaction Guarantee. We feel that our Buy Kratom Powdered Extract "Gold" sets a whole new standard or quality and purity, and we stand behind every package we send out of it.